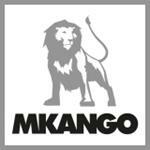 LONDON and CALGARY, Alberta, Sept. 20, 2018 (GLOBE NEWSWIRE) -- Mkango Resources Ltd. (AIM / TSXV: MKA) (the "Company" or "Mkango") is pleased to announce results for a further nine holes from the recently completed 10,900 metre diamond drill programme at the Songwe Hill Rare Earths Project (“Songwe”) in Malawi. The drilling programme is a key component of the ongoing initial phases of the Feasibility Study for Songwe, which is fully funded following investments by Mkango’s strategic partner, Talaxis Limited, in January 2018. PX068 20.6 m grading 2.8% TREO (39.0 – 59.6 m). Inclined hole (60 degrees west). PX071 18.0 m grading 1.6% TREO (13.0 – 31.0 m) and 72.5 m grading 1.2% TREO (55.6 – 128.1 m). Inclined hole (60 degrees east). PX074 30.4 m grading 1.7% TREO (15.0 – 45.4 m). Inclined hole (60 degrees west). PX075 23.8 m grading 2.4% TREO (44.3 – 68.1 m). Inclined hole (60 degrees west). PX079 30.5 m grading 1.4% TREO (83.0 – 113.5 m). Inclined hole (60 degrees west). (i) Includes 6.8m cavity not sampled. Due to size of cavity, the significance of this intersection is uncertain. (i) Includes 3.5m cavity not sampled. (i) Includes 3.1m cavity not sampled.